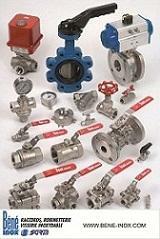 BENE INOX RACCORDS & ROBINETTERIE, Cevni zvezniki, železne kovine, Industrijska izdelava pip, stainless steel butterfly valves, na EUROPAGES. 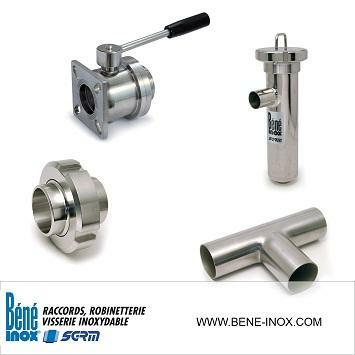 Béné Inox, experts on stainless steel industrial fluid processes components, Tubes, valve, fittings, fixtures, piping accessories, fasteners, supports, chains, cables and fittings. Our range of product is from standard to custom, for many sectors like agri-food, chemicals, cosmetics, pharmaceuticals, oil, water treatment, wine and other areas. We adapt ourselves to provide you with the best possible service so that you can benefit from our expertise. You can find the full range of our products on our website https: //www.bene-inox.com/gb or in our catalog Joints, plumbing, tubes and piping fixtures. 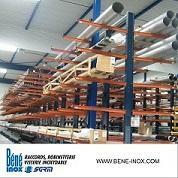 Béné Inox will adapt its expertise to your needs. Sprejemam določila in pogoje in pravilnik o zasebnosti EUROPAGES.